Could someone please help me to identify the Goddess presented in the image? But as you can see, She has two arms, and Her right hand is raised as if She is offering a blessing. Please tell me who She is. 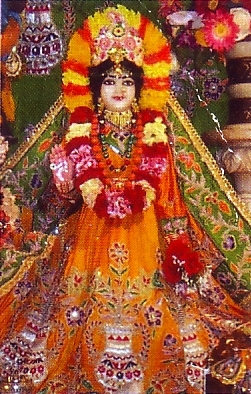 She is Radharani, Shakthi of Sri Krishna. This image could be taken from ISKCON. 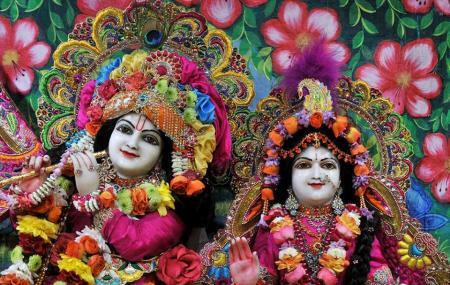 Another similar image of Radha and Krishna from ISKCON London. Another similar alankara of Radha Krishna can be seen in this video which is from ISKCON Chennai. Not the answer you're looking for? Browse other questions tagged identification-request goddess devi .